Verizon is working on new broadband technology that is capable of delivering some of the fastest Internet speeds ever recorded. The new service would provide customers download speeds of 10 gigabits per second. That would be 10 times faster than Google Fiber and 1,000 times faster than the average U.S. home Internet connection. How fast is that exactly? A two-hour high definition movie would take eight seconds to download, 100 students could download a textbook in two seconds simultaneously, and uploading 1,000 photos would take about two seconds as well, Verizon says. The new technology works by "adding new colors of light" onto the company's existing fiber-optic cable network. 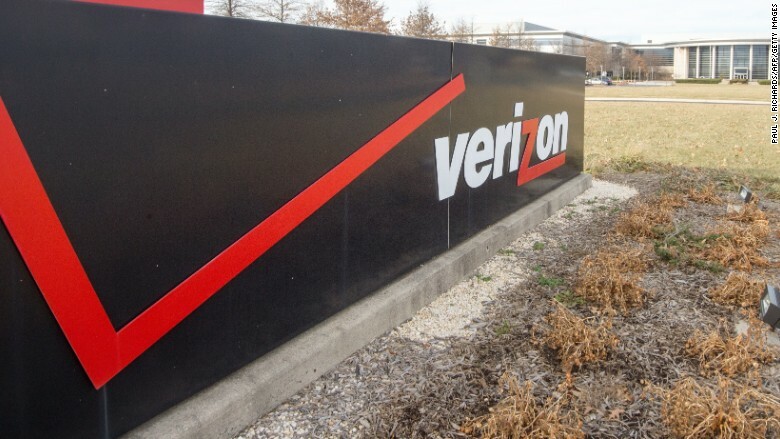 When it builds up its capacity, Verizon says it believes the new technology could one day become capable of delivering speeds as fast as 40 to 80 gigabits per second. Fiber optic technology is the fastest way to transmit data over long distances, which is why Verizon (VZ) and other companies like Google Fiber, Alcatel-Lucent, Comcast (CMCSA) and AT&T (T) are trying to expand their fiber networks. Just last week, Google Fiber, a subsidiary of newly-formed conglomerate Alphabet (GOOGL), announced it would build a new fiber network in San Antonio. Comcast also recently started to offer the fastest Internet in the country at 2 gigabit-per-second last month. At the moment, Verizon has only successfully tested the 10 gigabit-pes-second speeds in a lab, and from one of its offices in Massachusetts to a home and a business three miles away. It's left to be seen whether those speeds could become reality in the real world.